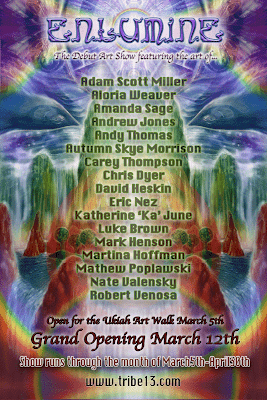 Today starts a Visionary Art show organised by Tribe 13 in Mendosino, California. My art will be part of it so try to check it if youre there before the end of April. All details on the flyer here.